Bells Are Pealing A Merry Christmas! What a captivating smile this little boy has! Across the century I can still feel its warmth. 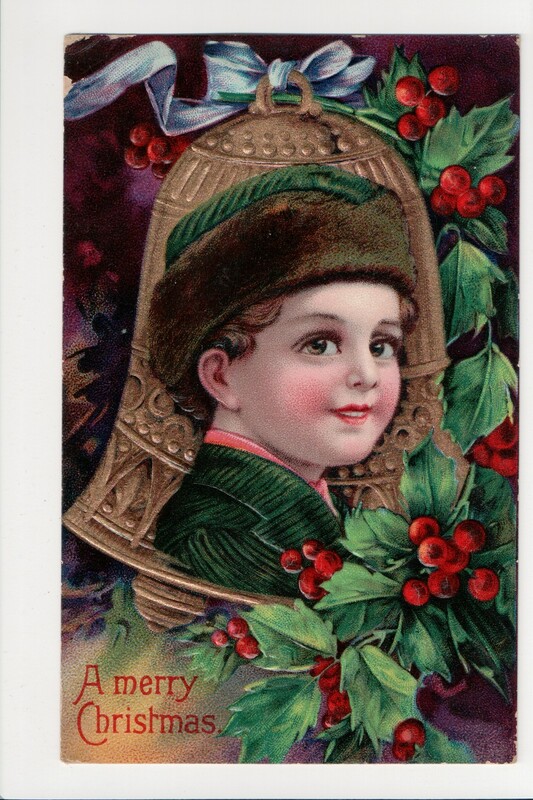 Silhouetted against an embossed gold bell, the child’s Christmas outfit looks snug and warm, with a red shirt peeking from beneath the green corduroy coat. I would love to have that matching hat with its neatly trimmed brown fur. Previous Article May Good Luck and Christmas Greetings Fall Upon You!